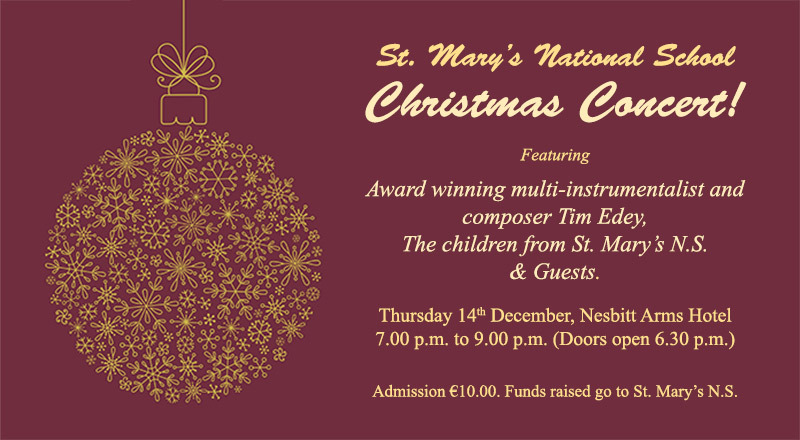 Award winning multi-instrumentalist and composer Tim Edey, The children from St. Mary’s National School & Guests. Admission €10.00. Funds raised go to St. Mary’s N.S.